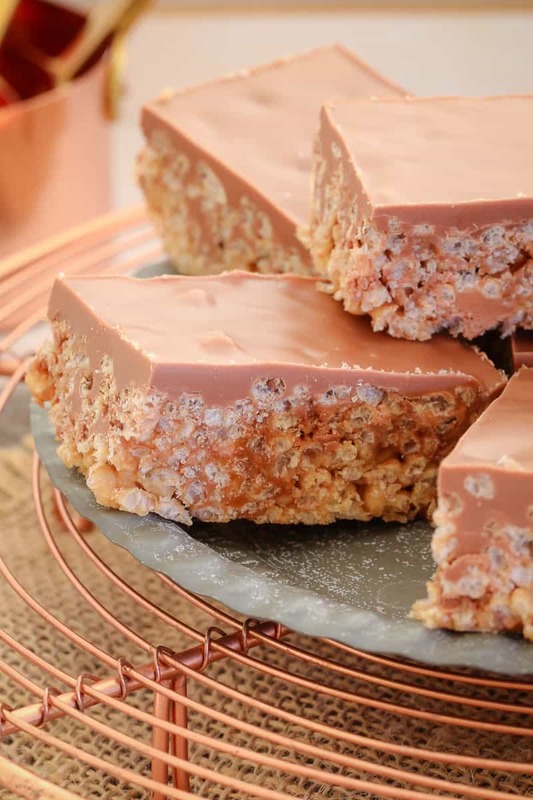 This perfect Mars Bar Slice recipe is so simple and works out perfectly every single time. 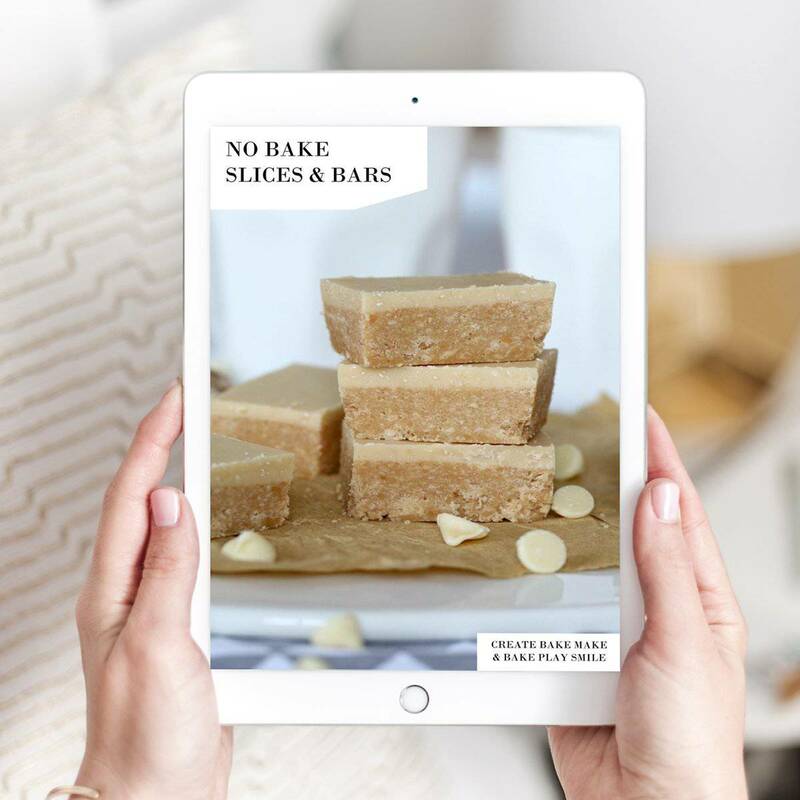 10 minutes prep time, completely no-bake AND with conventional and Thermomix instructions. Watch the video to see how easy it really is!! So what is it about Mars Bar Slice that makes it sooooo darn good? A) You don’t need many ingredients – which is great for people like me who even when armed with a grocery shopping list still somehow manage to forget things! B) It’s super fast to make… I’m talking 10 minutes!! Perfect for when you have other important things to do like cook dinner, fold washing… and watch Netflix! C) You don’t even need to turn on the oven (which means you can spend your electricity bill savings on shoes… done. done and DONE!). D) It’s so easy that you could virtually make it with your eyes closed – go on, try it… I dare you! But seriously, if you’ve never tried to make Mars Bar Slice before, you have no idea what you’re missing out on… it’s freaking AMAZING!!! On a random side note, I saw a piece of Mars Bar Slice in a cafe on the weekend for $4.50… for one teensy piece! Two pieces would have paid for the ingredients to make a whole slice. Crazy stuff!!! And anyway, everything tastes better when it’s homemade, don’t you think? 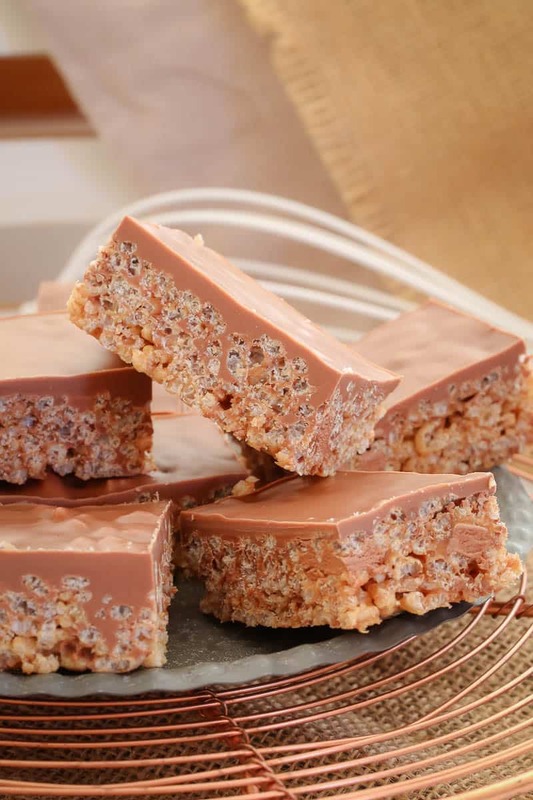 This perfect Mars Bar Slice recipe is so simple and works out perfectly every single time. Conventional and Thermomix instructions included. Grease and line a 18X22cm rectangular slice tin with baking paper and set aside. Melt the butter, two of the Mars Bars and golden syrup on low heat in a saucepan (or in 30 second bursts in the microwave on 50% power). Please note: the Mars Bars will not melt - that is fine! Mix until the butter and golden syrup are smooth. Place chocolate pieces and coconut oil/vegetable oil in a heatproof bowl. Microwave on medium for 3 minutes, 50% power, or until just melted, stirring every 30 seconds with a metal spoon. Stir until smooth. Adding coconut oil or vegetable oil to the melted chocolate will help with spreading and slicing, however it is entirely optional. 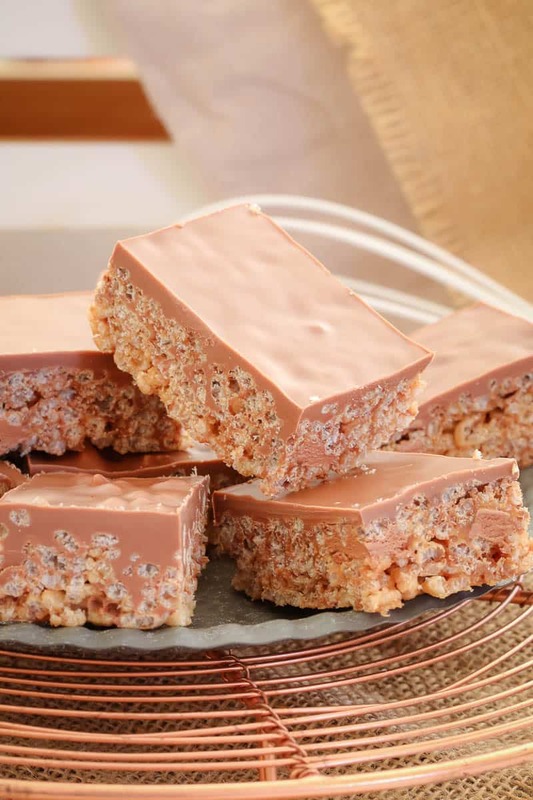 The ultimate Mars Bar Slice... made in the Thermomix! Place 2 of the chopped Mars Bars, butter and golden syrup into the Thermomix bowl. Melt on 60 degrees, Speed 2 for 3 minutes. Add the rice bubbles and the remaining Mars Bar. Mix on Reverse, Speed 2, 15 seconds or until completely combined. Place the chocolate melts into a clean TM bowl. Melt on 50 degrees, Speed 3 for 2-3 minutes (scraping down the sides of the bowl occasionally). Pour the melted chocolate over the slice and place back into the fridge to set. I’m finding myself doing so much more baking since I’ve started reading your blog! Today I made a yummy Peppermint Crisp slice that I think you’d love… I’ll have to bring you in a piece for the team meeting! 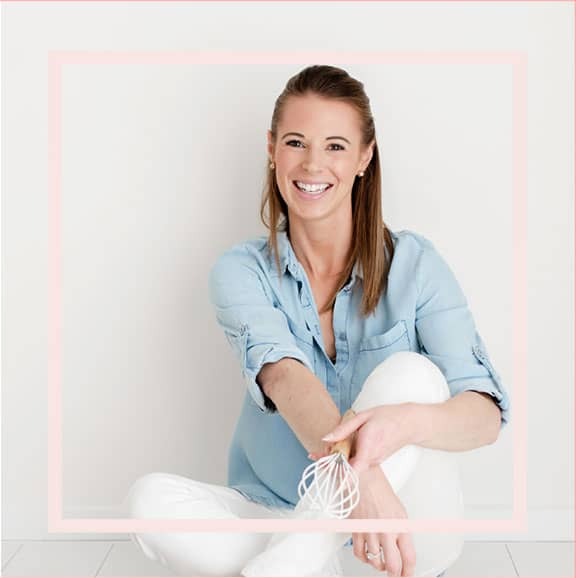 I am loving all of your recipes on here! 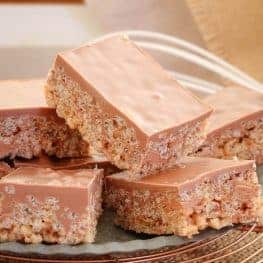 I made this one with the new Honeycomb Mars Bars and it was also delicious! Thank you so much! I still can’t quite believe people are actually reading my little blog!!! Yummy!!! 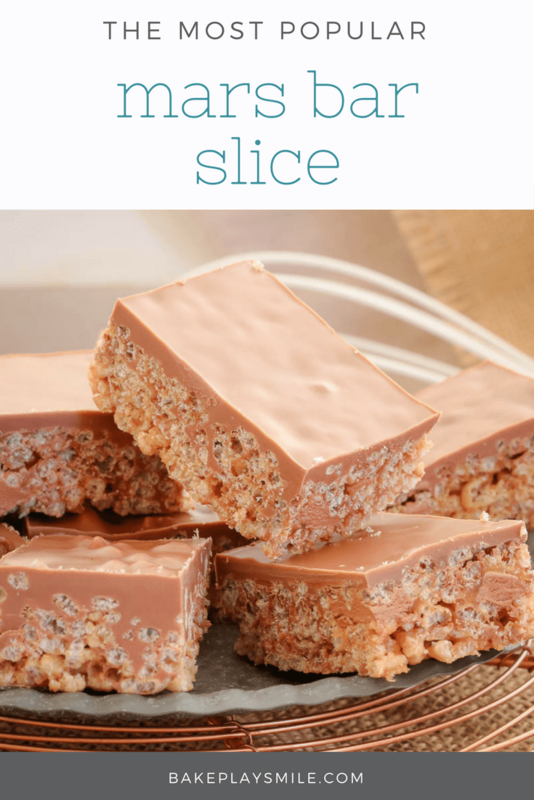 A piece of that slice sounds delicious right about now… Perfect with my cuppa!! I will definitely have to try the honeycomb variation…mmmm it sounds amazing!!!! Actually, this tastes much better if you skip the butter and golden syrup, add another Mars Bar and use Cadburys chocolate over the top (very important that). I have seriously had people not be able to stop themselves eating more, even if they are full, just by making these substitutions. Hahaha I love these tips. Anything that involves more Mars Bars and chocolate has to be a good thing!